through September 30, 2016. See discounts on PDA Store tab. Support the Pueblo Downtown Association & save money too! Springside Cheese Shop, 517 W. 5th St.
My Friend the Printer, 410 W. 5th St.
Our discount card is now also available as an app for your Apple or Android smart phone! Just click the button for your phone below, purchase the Pueblo Downtown Discount app for $9.99, install and show your phone to participating merchants to receive the discounts shown on the PDA Store tab. 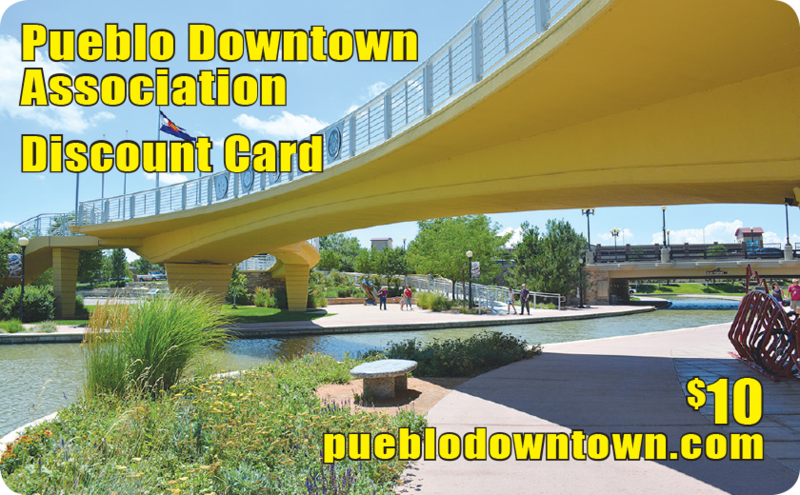 Welcome to the Pueblo Downtown Discount Card Mobile App! Save up to 50% from the best local merchants! Exclusive Mobile discounts are available and using this app means that if new business members offer specials, you'll be the first to know!This new version of the popular local card features discounts on food, clothing, entertainment, household items, fitness, and a variety of services. You always have your phone, so you will always have this card! The Pueblo Downtown Association was founded in the early 1950’s by department store managers in the bustling retail center of Southern Colorado, the Pueblo Downtown Association brought shoppers to local stores and restaurants with community events such as Krazy Days and Moonlight Madness. 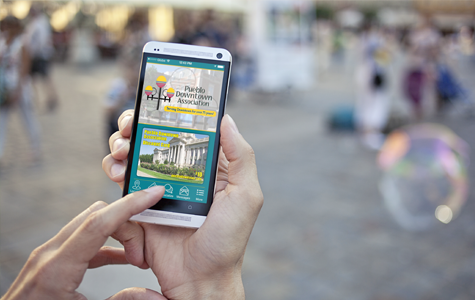 The Pueblo Downtown Assc Mobile App promotes Pueblo's premier businesses. 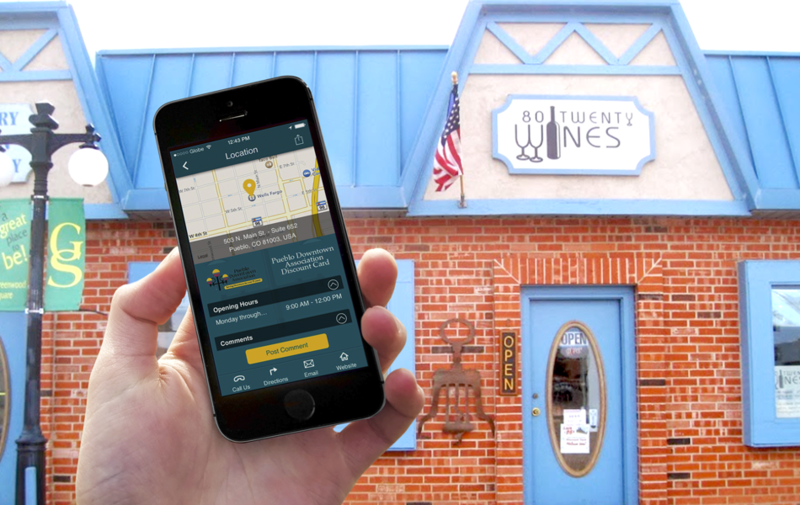 This App helps Puebloans, tourists, and visitors find great local business of all types. Restaurants, events, banks, service providers, non-profits, and whole lot more! Get directions, phone numbers, and website information to guide you to Pueblo's wonderful collection of local entrepreneurs. 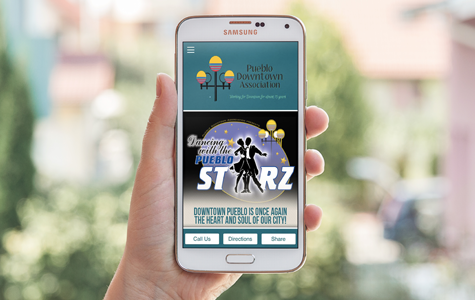 Using PUSH Notifications, we can keep you up to date on the latest downtown events, like Dancing with the Pueblo Stars and the Parade of Lights at the end of the year. We will also send you special discounts not available anywhere else from our member merchants, saving you even more money. Of course we want you to share your favorite photos, stories, and posts from social media right from our App. 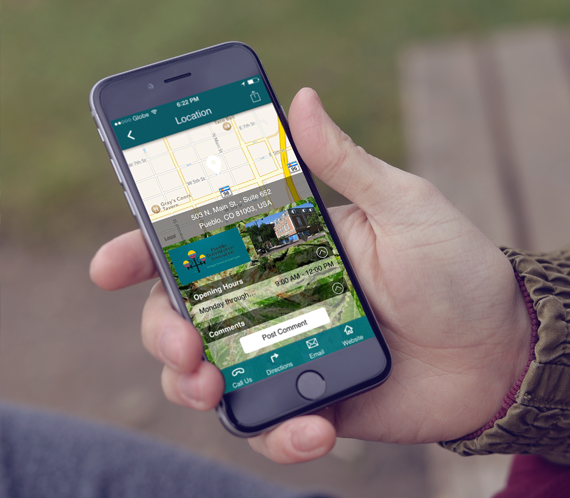 Download the App now to find the best in Pueblo, save money, share your comments, and enjoy all that the Pueblo Downtown Association has to offer!